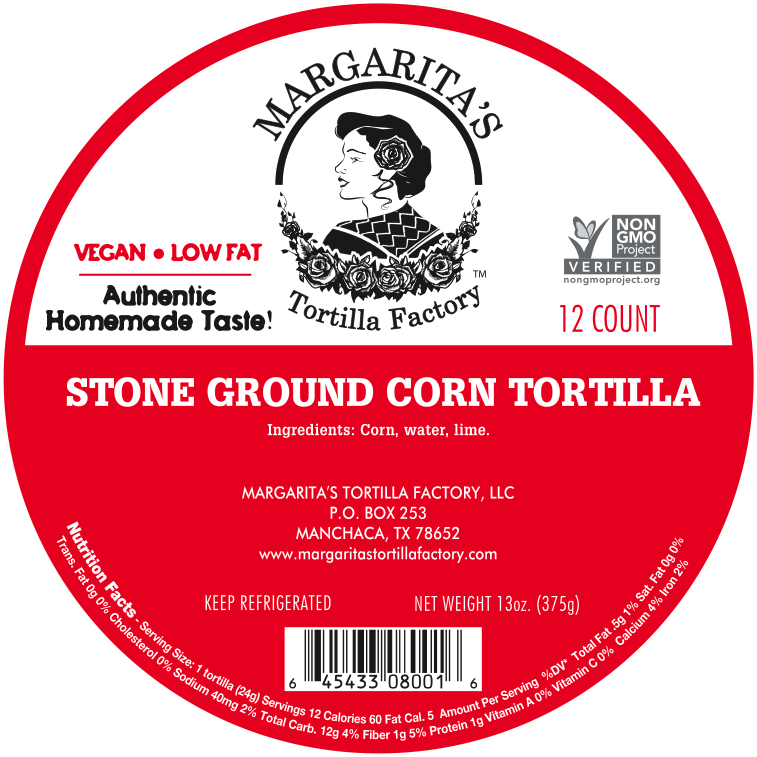 At Margarita’s Tortilla Factory, we still make our non-GMO Verified corn tortillas the Aztec way: by cooking and steeping the corn in alkaline water, then washing it to remove some of its skin. This process is over 3,500 years old, and it still can’t be beaten. Corn tortillas made this way have a taste like no other food on Earth. Our tortillas are not spongy and sour, nor are they dry and stiff like the store-bought ones you are accustomed to. Instead, our corn tortillas feel slightly toasted outside but still tender inside. You can taste and smell the sweetness of the corn. And, of course, corn tortillas made the Aztec way, like Margarita’s tortillas, are much healthier for you. Corn’s bound niacin is converted to free niacin, making it available for absorption into the body. Corn treated this way is rich in calcium, iron, copper, and zinc. In fact, the corn has 750% more calcium than usual! This process eliminates the nasty aflatoxins from corn fungus. 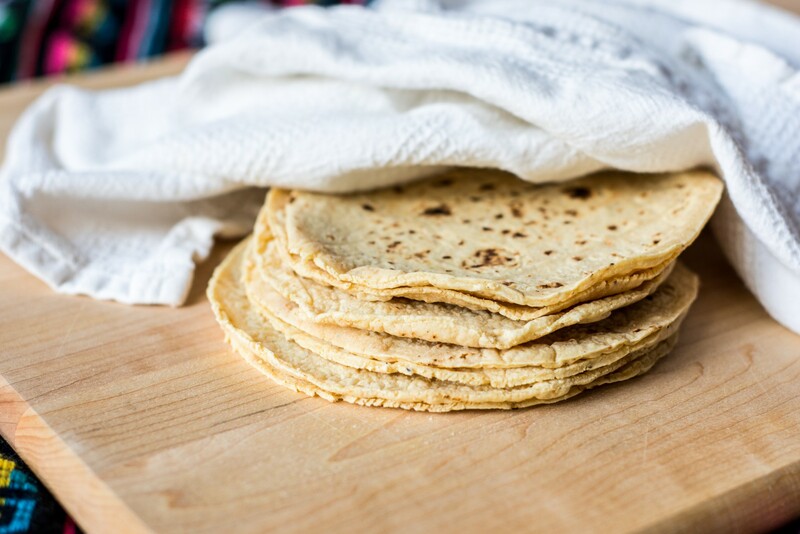 Best of all, our corn tortillas won’t disintegrate. Get ready for tacos and enchiladas that don’t fall apart when you serve them!